Yesterday was red polish day, lol. 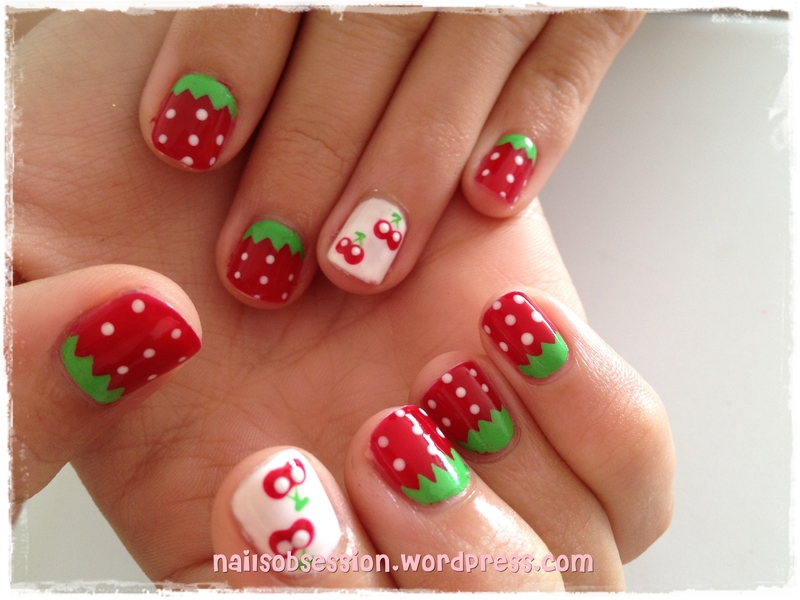 Did the same kind of red polish for 3 persons continuously lol. Next up was Gucci’s simple gradient nails. 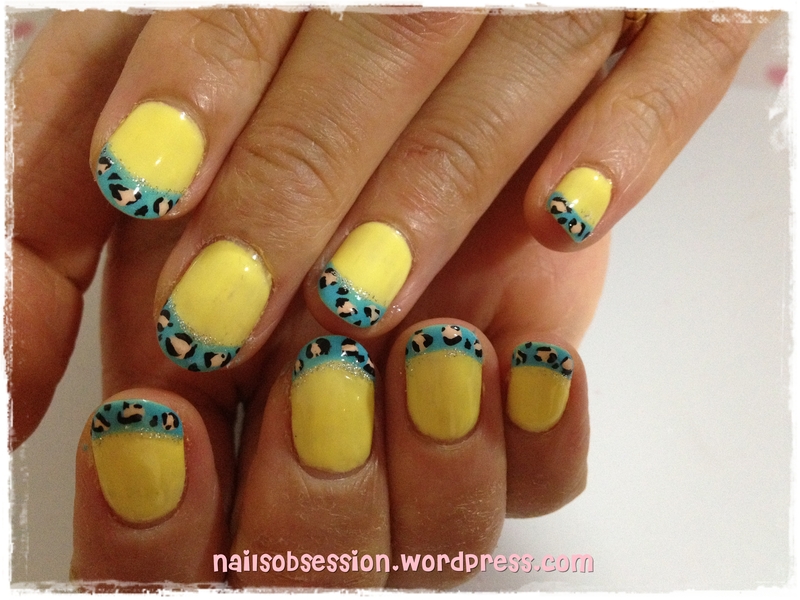 So not her style as she always requested for something loud, wild and colourful! 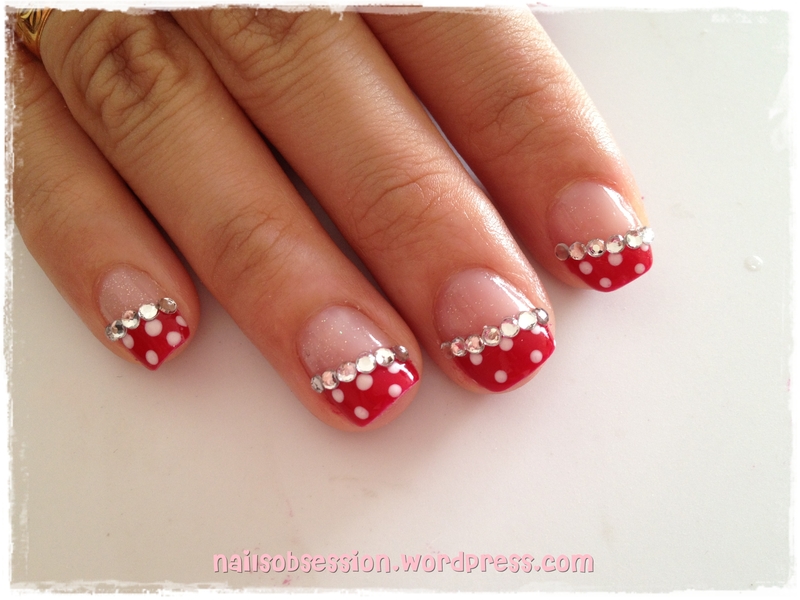 And this is like her longest nails ever, which looks soooo much better than her original short and baby nail bed! Somehow I prefer the colour under flash. Lol. Close up. I modified the way I did gradient nails and it turned out to be much better! Previously I would paint half the nail and used a small brush to smooth out the rough edges, after that add on humongous amount of glitter and glitter flakes. This time round I used sponging technique and dap on a lil’ glitter polish, add on random glitter flakes before I topped it off with top coat. 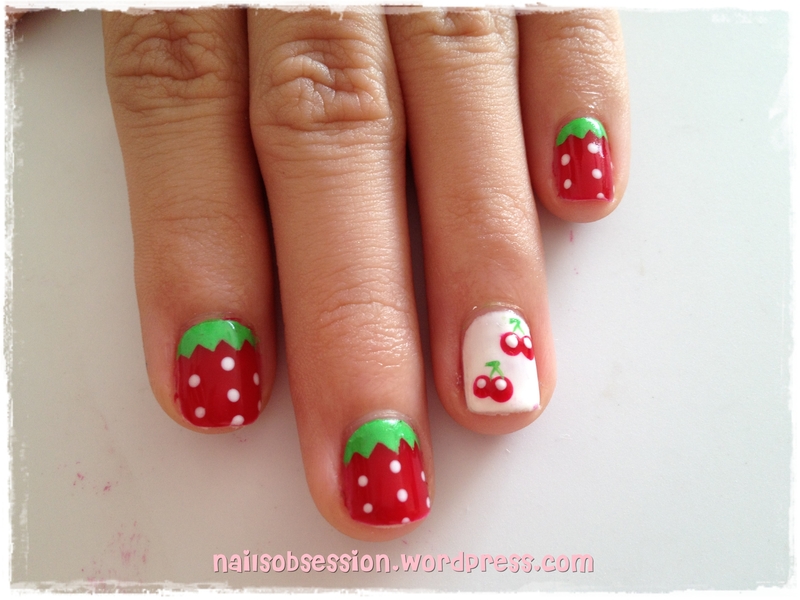 The next customer wanted this set of fruity nails! 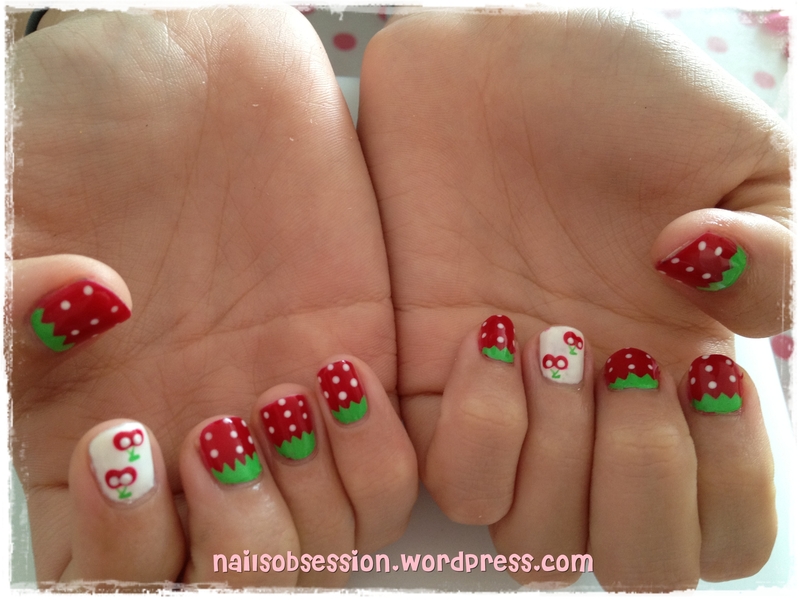 If you notice, I could only fit in 2 pairs of cherries on each fingernail! Hahaha. Close up. Sigh only realized that the edges weren’t properly filed after looking through these pictures. 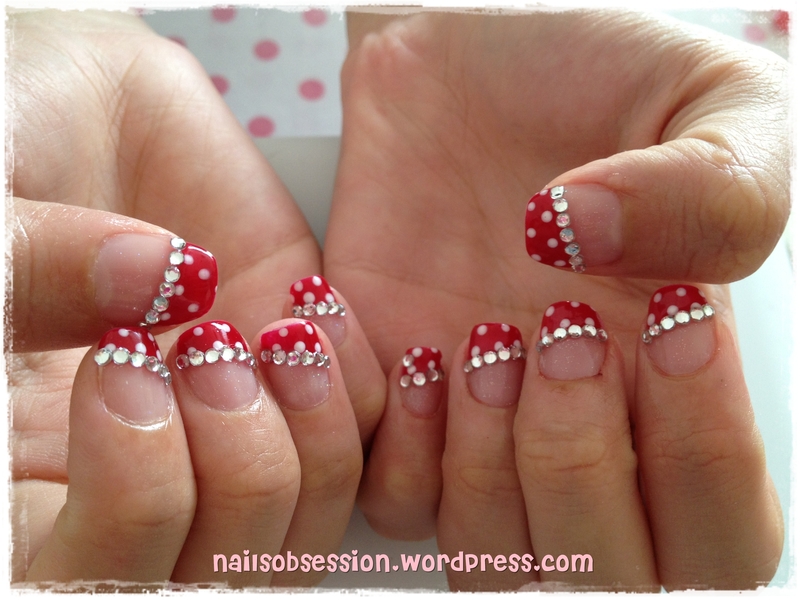 Another set of red polka dot nails requested by Carol! Did a similar design previously in pink (: Super shiny! Close-up. Glittery base FTW! Valerie finally did something that is not purple-ly.. Lol. This is my favourite colour from Artistic Colour Gloss! Added on pale blue glitter at the tip to achieve this mermaid look! So, I ended up doing nothing and blogging away now because of last minute cancellations zzz. I always didn’t find deposit necessary as I always believe that all customers are responsible but.. sigh -_- Do note that we will be starting to accept deposit after CNY for first-time customers.